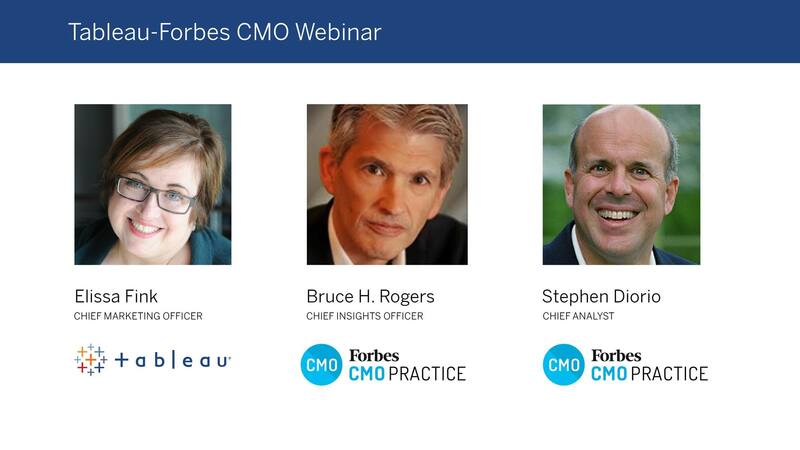 The Forbes CMO Practice conducted research with over 800 CMOs and 50 subject matter experts on how marketers quantify and communicate the value they create. 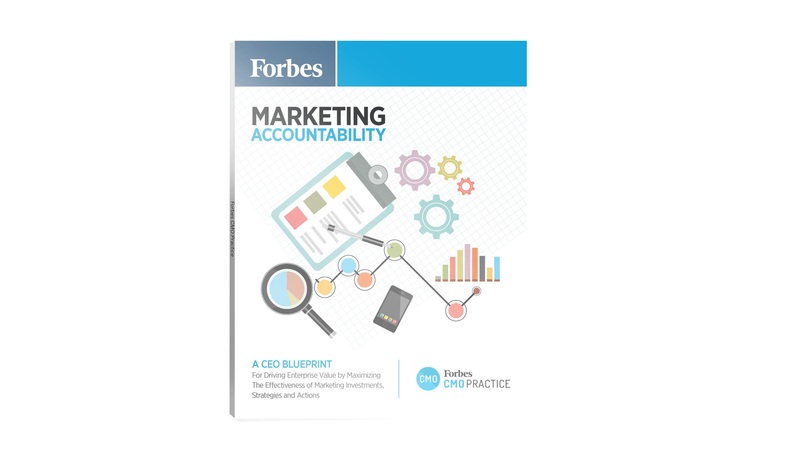 An executives summary of the report, titled "Marketing Accountability: A CEO Blueprint for Driving Enterprise Value by Maximizing The Effectiveness Of Sales And Marketing Investments, Strategies and Actions," is available now. Research from the Forbes CMO practice found that marketing is more important than ever to the growth and value of the enterprise, despite increased pressures to demonstrate the financial impact of marketing investment. Tableau CMO Elissa Fink hosts the research team from the Forbes CMO Practice to discuss the specific ways progressive CMOs are generating more growth, profits, and enterprise value from their marketing strategies and investments.